The Greatest Showman is played on repeat in our house and we cannot get enough of it. 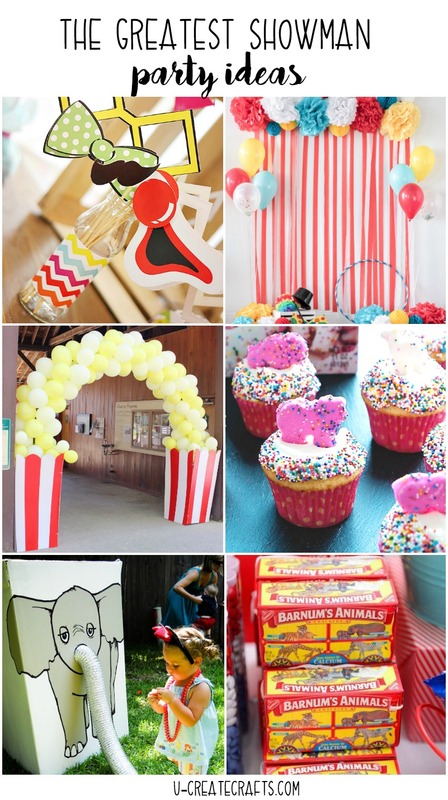 My daughter wants to have The Greatest Showman birthday party and as I scoured the internet for some of the cutest ideas, I thought I’d share what I found in case your little one wants a circus party, too! 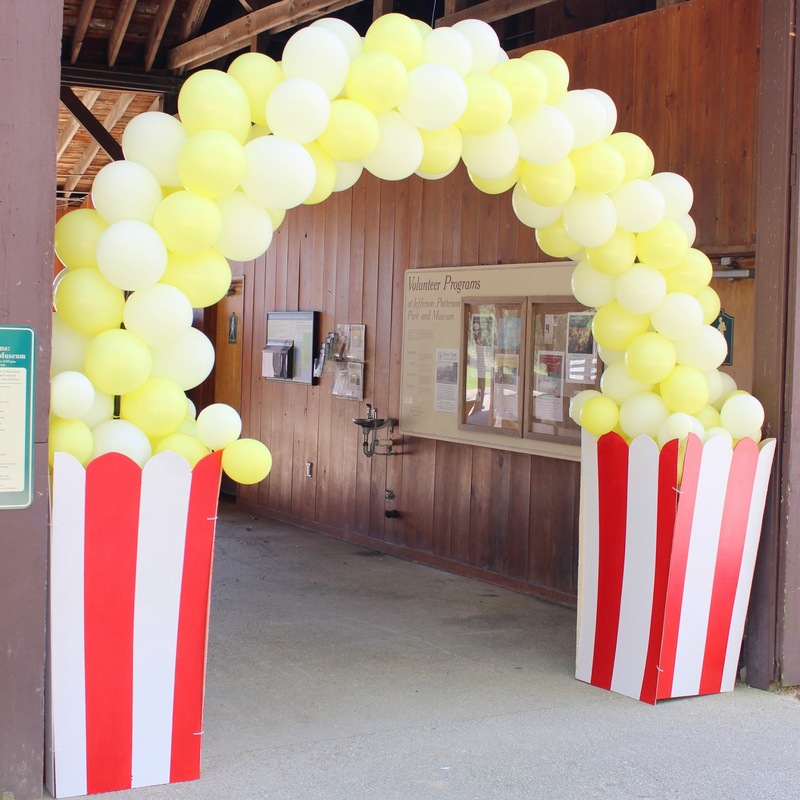 How adorable are these balloons made into a popcorn arch as guests enter? Don’t want to go for an arch? 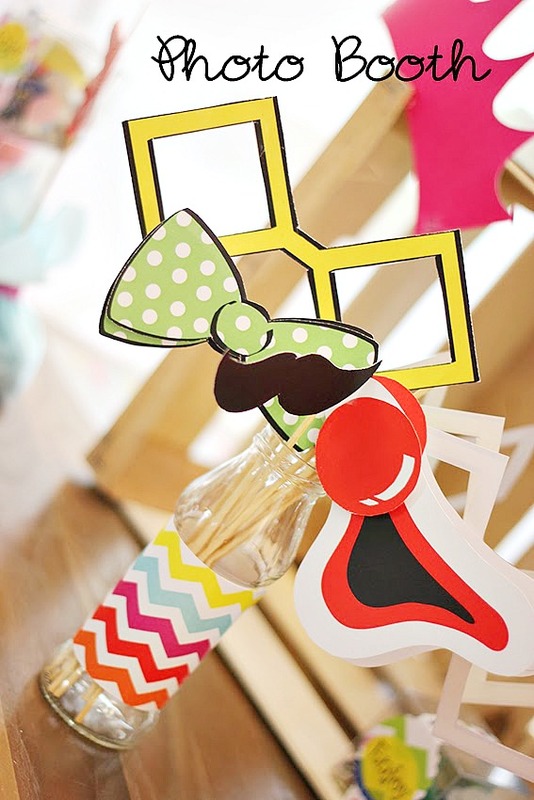 Pile some on top of the popcorn box –super cute! 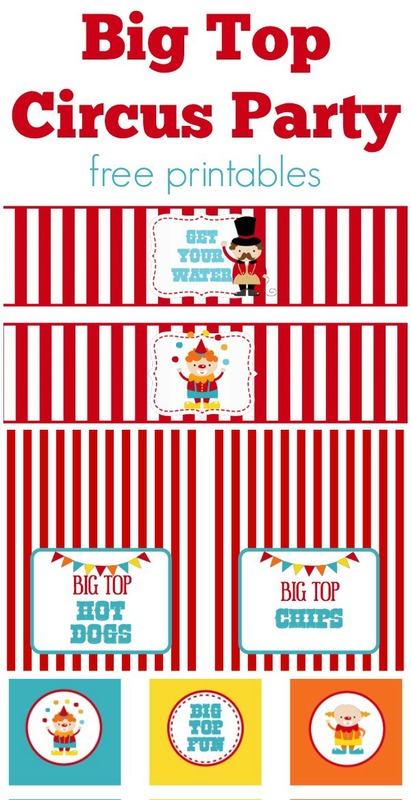 Here’s a super cute set of free circus printables you’ll want to check out! 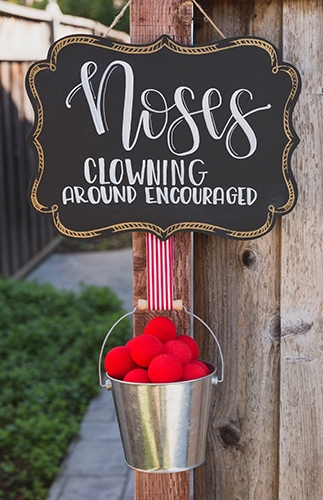 Have guests “clown around” with this fun idea greeting them to have fun! 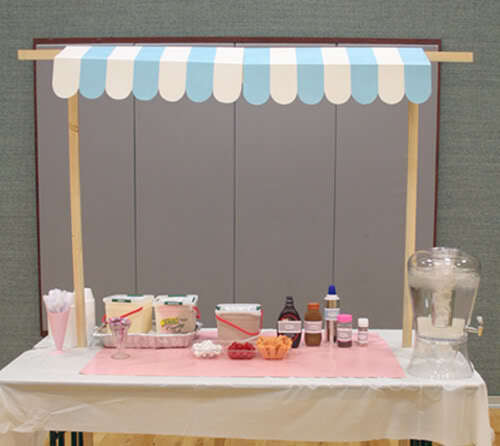 Now onto a couple of treat ideas! 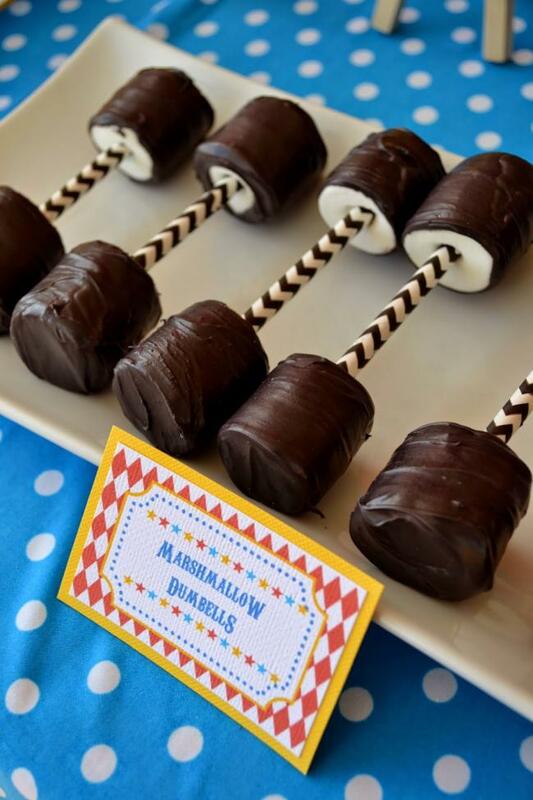 Create dumbbells using straws and marshmallows! 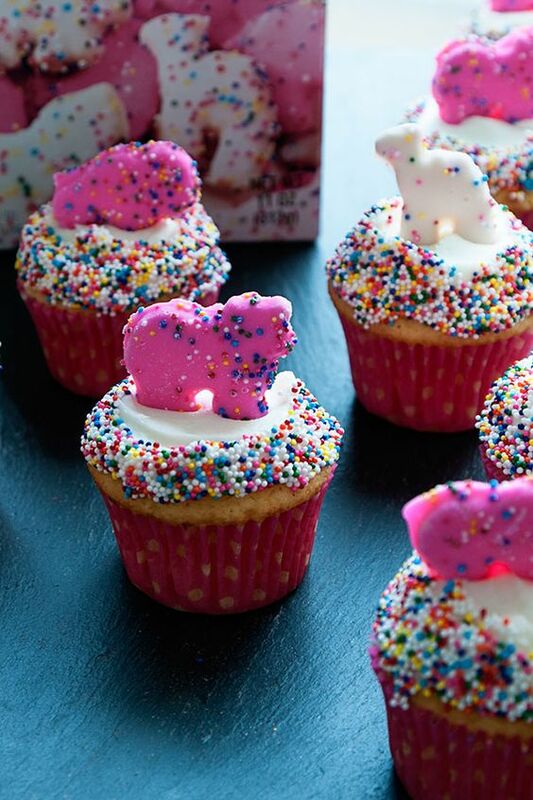 Kids are crazy for animal cookies and they also make the cutest cupcake toppers! Game time! 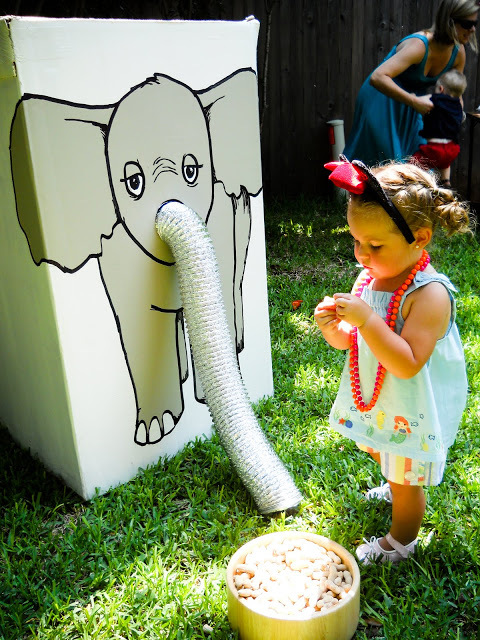 I cannot get over how cute this elephant game is. 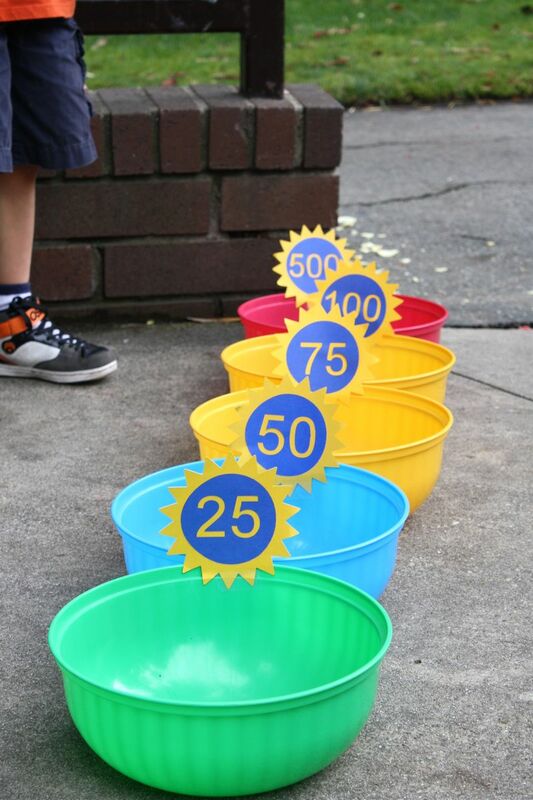 …and you can never go wrong with a classic bean bag toss game using colorful bowls or buckets! 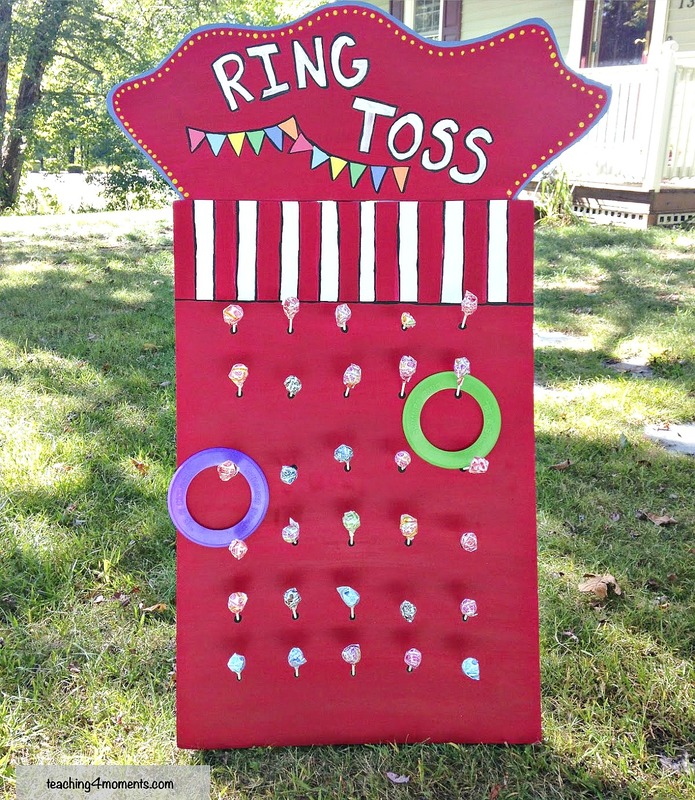 I love how creative this ring toss game is using suckers! 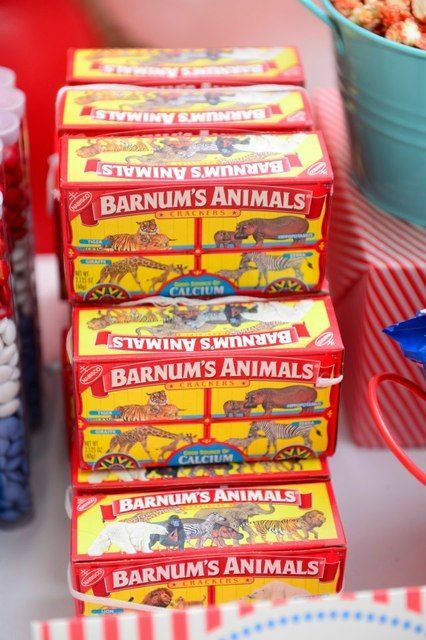 Send each guest home with a classic box of Barnum’s Animal Crackers! 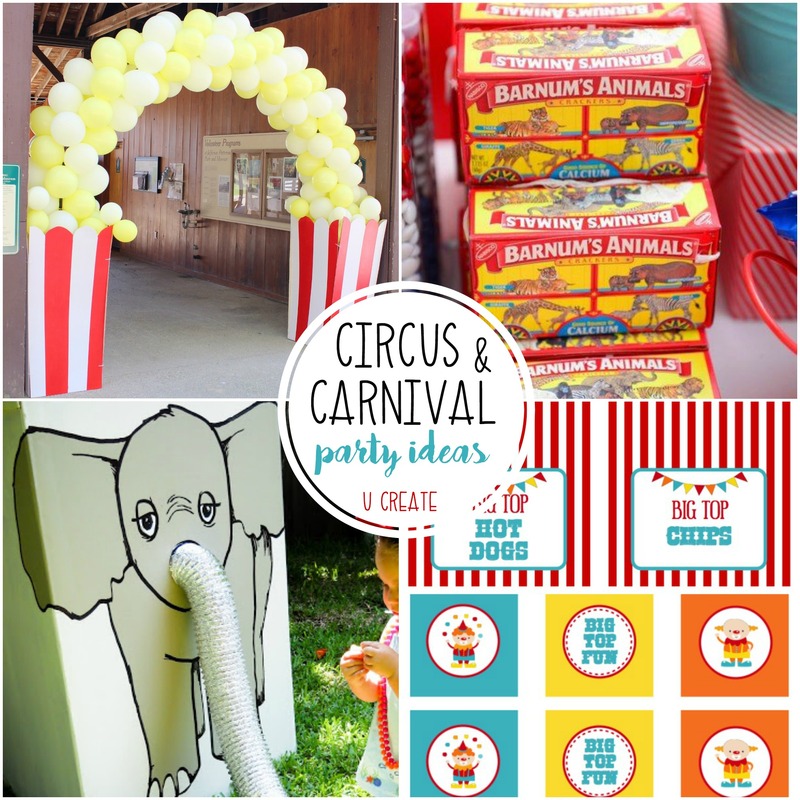 I hope these party ideas have inspired you with ideas to create your own Greatest Showman party or any circus/carnival theme! 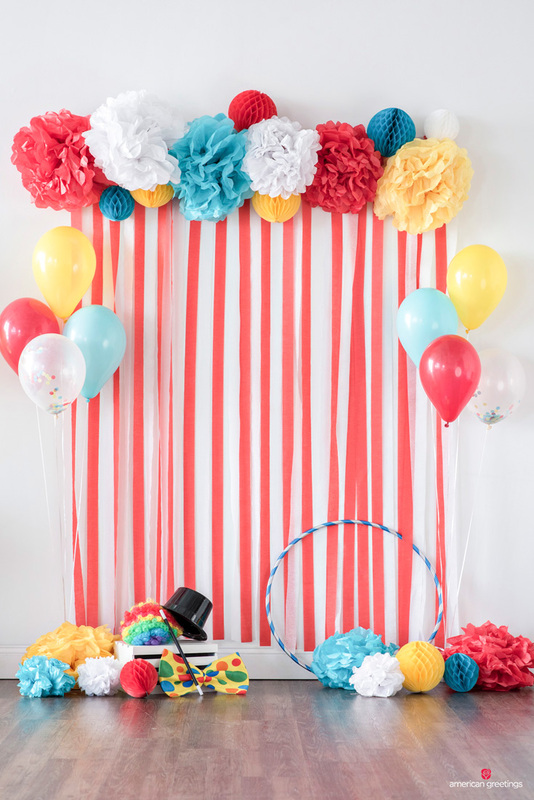 Also learn how to make your own party backdrop for parties and events!